Nectar's new South Perry location. Nectar's long-planned expansion into the South Perry District is now a go, owner Josh Wade announced on the bottle shop's blog, after previous failed negotiations that began more than two years ago. Nectar Wine & Beer's forthcoming second store will be located at 907 S. Perry, in a recently constructed building. It will mirror the business model of the Kendall Yards store that opened back in 2015, with 16 craft beers on tap and a list of 32 wines available by the glass, along with a large retail inventory of both. 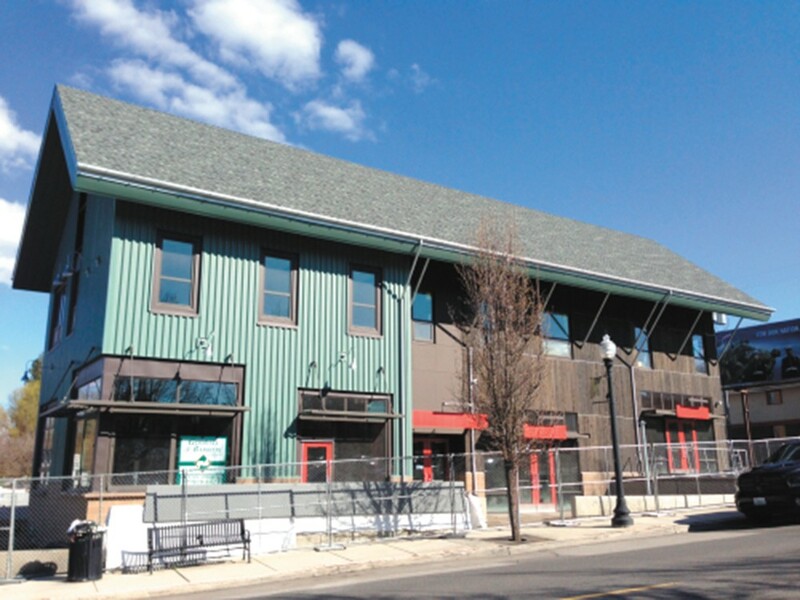 At 3,400 square feet, the location is set to include a members' lounge and a patio. The lounge is planned to be available to beer and wine club members at no extra cost to use for events and parties. Wade expects the new store will open in mid-spring of 2019. Spokane-based Dry Fly Distilling is planning to boost production of its Washington whiskey, gin, vodka, bourbon and barrel-aged spirits by more than 730 percent. The distillery last week announced a new partnership with Seven Seas Export to expand its production to serve new Pacific Rim markets, starting with South Korea. To meet this new demand, Dry Fly will increase production from its current 30,000 gallon annual maximum to 250,000 gallons each year and to do so is opening a new distillery in central Spokane, just north of downtown. Dry Fly President Don Poffenroth says the new facility, part of a 5.2-acre mixed-use development at the former site of the City of Spokane's Fleet Services facility, is slated to open by the end of next year. The distillery is part of a Spokane-led investor group's project called NoDo at Normandie, to include retail, housing and office space. "Basically this is an entire new facility, and none of the current equipment will move over," Poffenroth says. "We'll have a bottle shop where you can purchase product and we'll have a separate pub, so when we separate that out we aren't restricted in what we can do from a cocktail or beer/wine perspective. So more of a restaurant feel, and there will be food." He says the new production facility is going into a historic building that will be renovated and restored and eventually listed on the city's historic properties registry. The building, at the corner of Sinto and Normandie, has been used by the city of Spokane since the late 1890s, he says. "Our goal is to be manufacturing in that facility by the end of 2019, even if that's just one drop," Poffenroth says. Cozy on up to the bar at No-Li Brewhouse's east Spokane brewpub and enjoy the warmest beers of winter through December. The monthlong "Get Frosted" festival showcases a new festive winter brew each week, like the decadent Peanut Butter Porter Cup and the Apple Pie Ale.